My own view is that there is a fundamental unity underlying “body” and “mind” and yet a distinction has emerged seemingly to initiate a dialectical process for the purpose of the differentiation of consciousness. Some have resisted this distinction in favor of one side or the other; there are others who have seen and experienced the unity behind it all and these are the visionaries. But to attain this level of consciousness, and not experience it as the consequence of regression into unconsciousness, is exceptional, transpersonal, and probably the work of several centuries on the collective level. 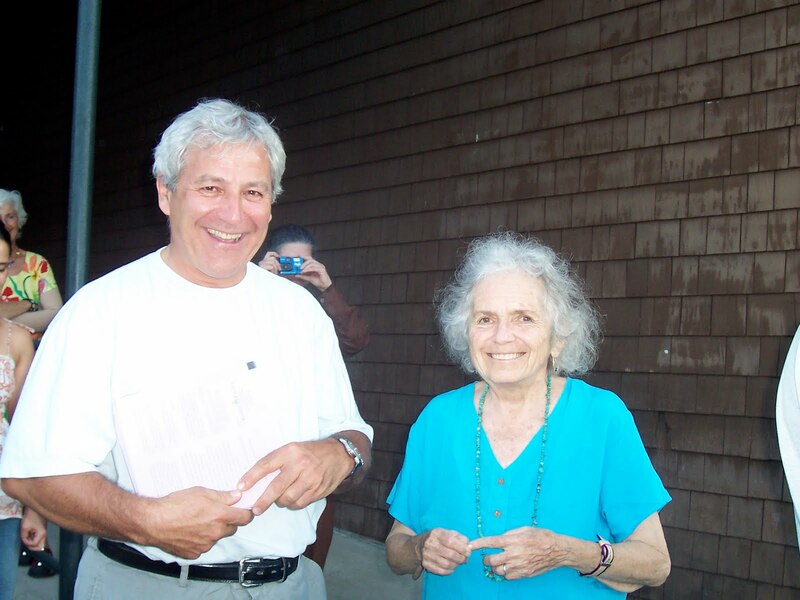 Speaking of consciousness, here is Francis with the very conscious Grace Paley several years ago on the Goddard campus. This entry was posted in Consciousness Studies/Transpersonal Psychology, Faculty, History & Political Science, Shamanic Studies, Spirituality & Religion and tagged Francis X. Charet. Bookmark the permalink. >Thank you for sharing this! It was an honor and pleasure to interview Francis, who is as much of a Wise Sage as he is an academic professor.